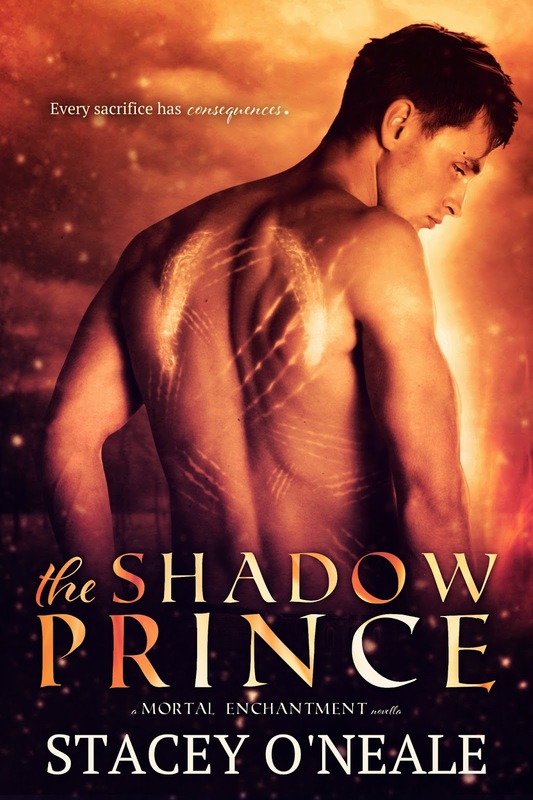 The Shadow Prince is a prequel novella to Stacey O'Neale's new Mortal Enchantment series and it is currently available as a free ebook from Amazon (I'm not sure if that is the permanent price so download it to your ereader now just in case!) or if you prefer you can also purchase a paperback copy. While the story is fairly short it is a great introduction to the series, one that is full of action and definitely leaves the reader wanting to know more. The story is told from the point of view of Rowan, a fire elemental who is next in line to control the fire court. Rowan has spent most of his life in the human realm but has now been summoned home by his mother Queen Prisma because she has decided to abdicate her position and hand him the crown. To say Rowan is surprised by this move is an understatement, he has never been close to his mother as she favours his older, adopted siblings, and he is very wary of her motives. He suspects she is planning something and that turns out to be true when she insists that to prove he is worthy of the throne he must complete a challenge - he must kill Kalin, the half-human daughter of the king of the air court. Although Rowan is horrified with his task he knows how important it is to get his people out from under Prisma's tyrannical rule and he feels there is no other option but to agree. Can Rowan really go through with killing an innocent girl though and if he doesn't how much will his failure cost him? I don't want to say too much more about the plot because you should just read it for yourself. After all it's free and it's only around 70 pages long so you've got nothing to lose by giving it a try. The author has done a great job of introducing her main characters and the world she has created without overwhelming us with too much information and I'm looking forward to continuing the series. Source: This was a free read available to download from Amazon.